Hair stylist and three-time Best of Atlanta winner Jenn Jones opens beauty collective Creature Studio. 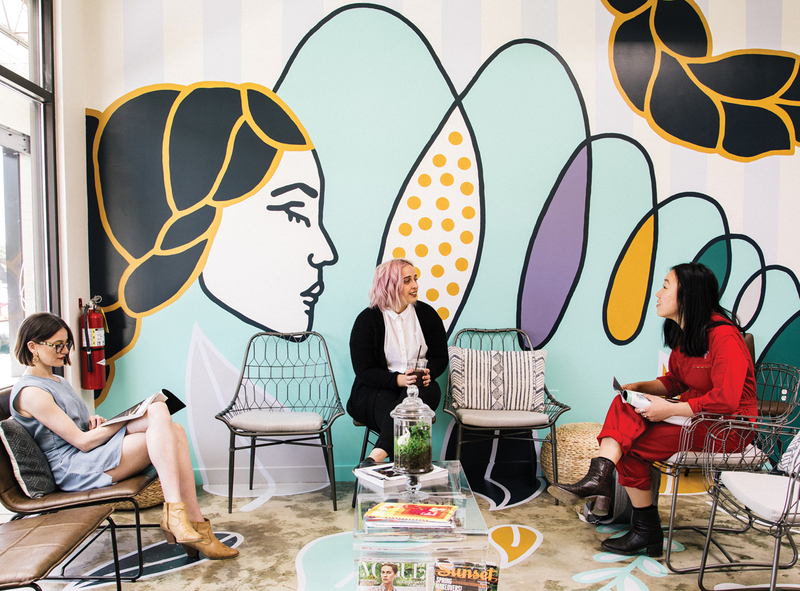 A new salon concept in Inman Park provides a workplace for stylists, photographers, nail artists, wellness gurus, and other creatives to share. Creature Studio is the brainchild of hair stylist (and three-time Best of Atlanta winner for hair color) Jenn Jones and her husband, photographer Raymond McCrea Jones (who sometimes shoots for this magazine). 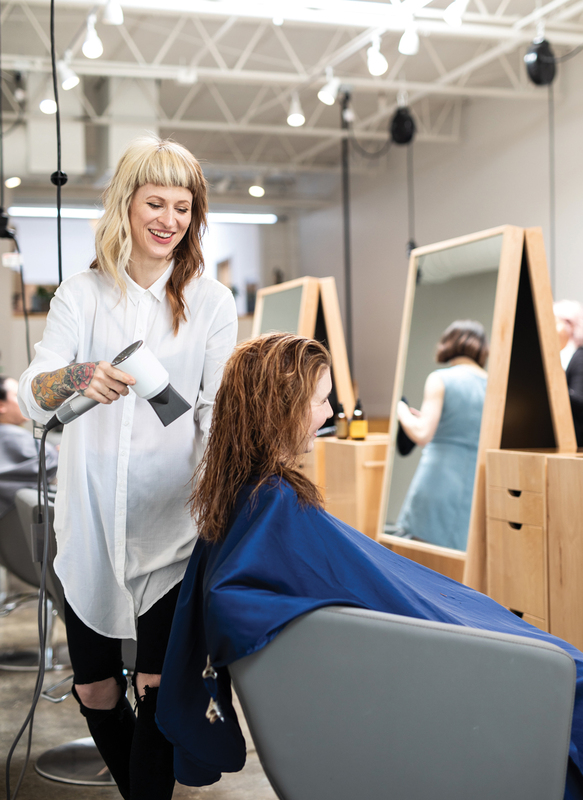 Jenn, who has worked at independent salons in New York and Atlanta, including the Aviary and Akasa, and who was formerly a lead educator at the Aveda Institute, has long used organic products. Now, she’s extending her natural ethos to the new collective. “You’re never going to be assaulted by a gnarly chemical smell, from myself or another stylist,” she says. Yoyo Ferro, a local artist known for his illustrative linework drawings and murals, is a client and friend of the couple and painted a custom mural for the studio. 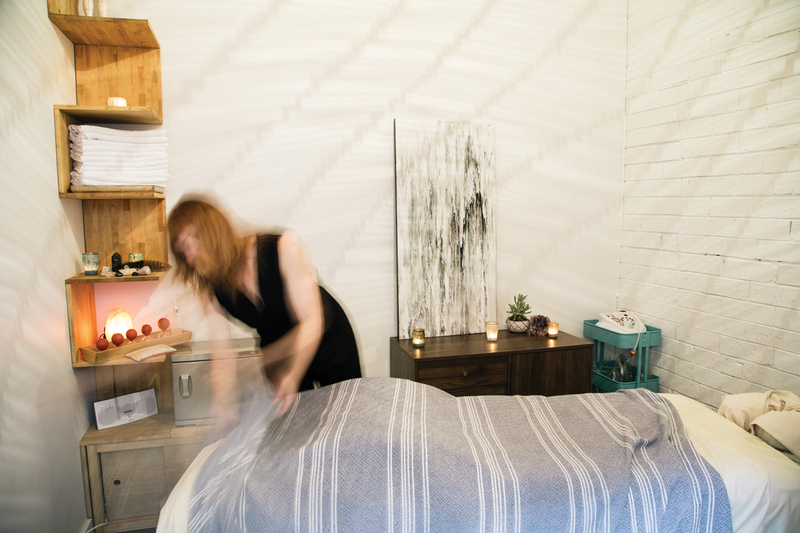 Ritual Bodywork’s services include cupping therapy. Electric outlets hang from the ceiling to allow for mobile stylist stations. 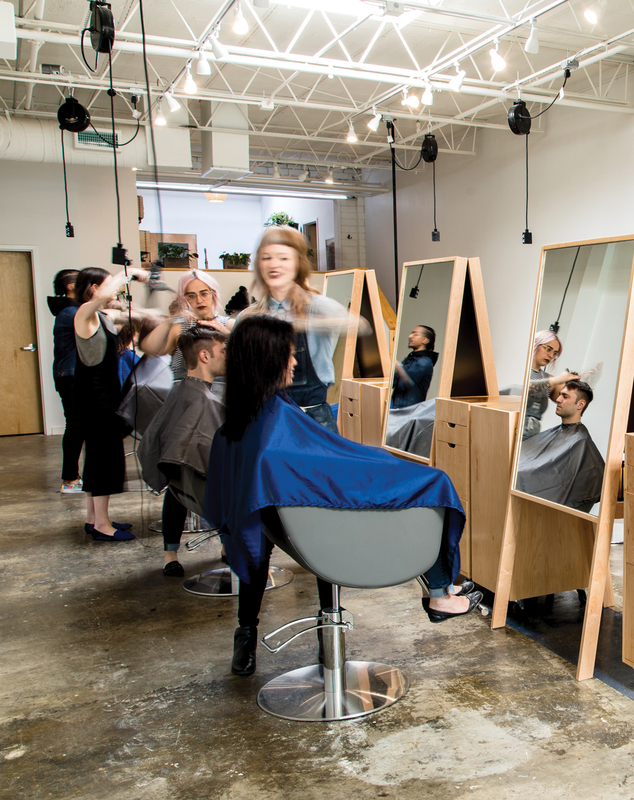 Creature is Atlanta’s first Oway concept salon. 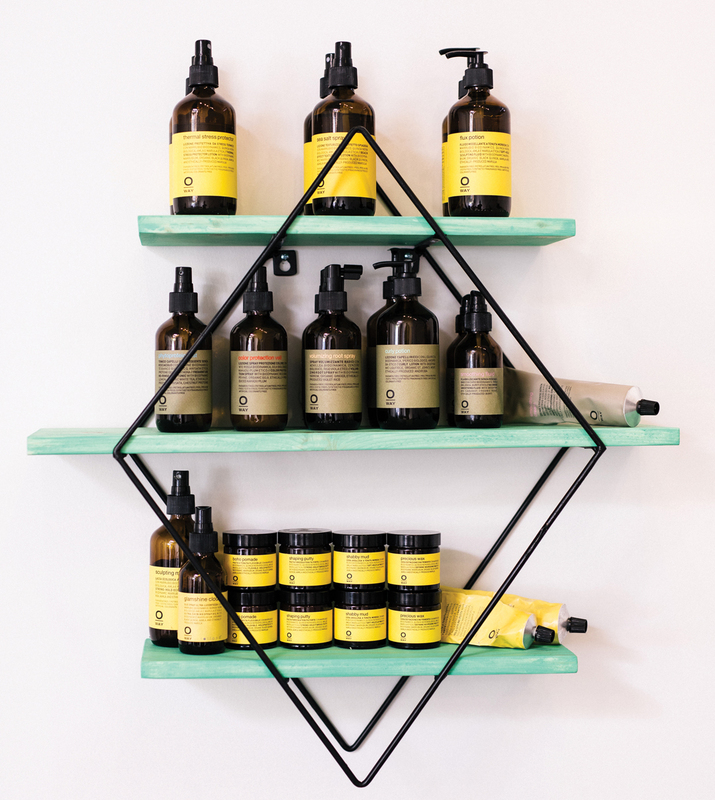 Oway, an ecoconscious haircare line, focuses on the botanical and nontoxic, with organic ingredients grown on the company’s family farm in Bologna, Italy. 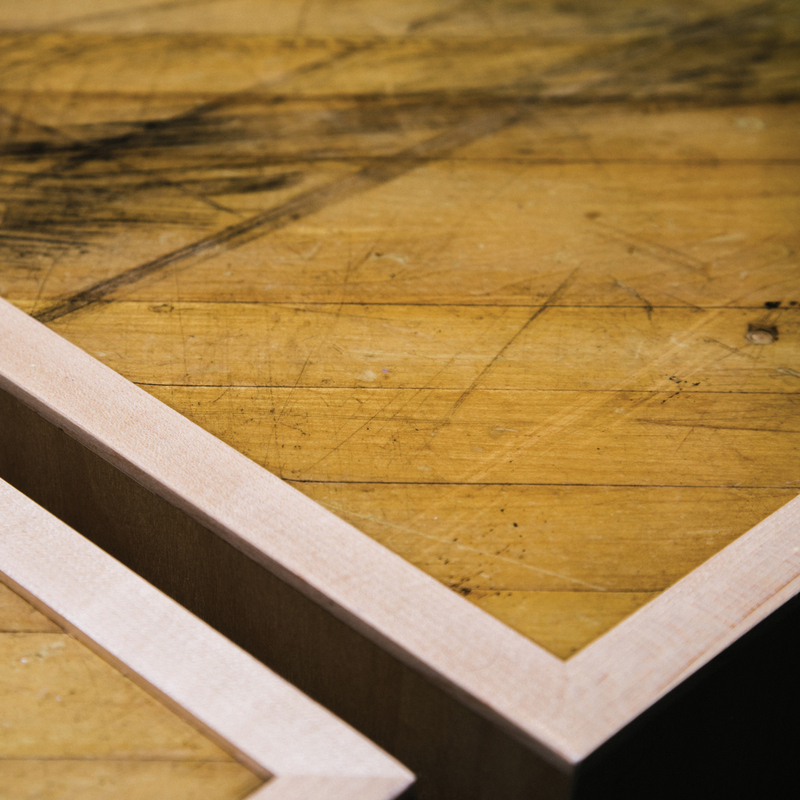 The wooden tops at the stylist stations are repurposed floors from a Sparkles skating rink.